Nothing known to men produces more power than a nuclear reaction. Scientifically, this happens when you add a neutron to an atom’s nucleus, causing this nucleus to split creating other atoms and more neutrons as a result, this repeats itself continuously leading to an exponential chain reaction. In Business, we can observe this same effect all the time, value is added to something already valuable resulting in more value being produced, also initiating a chain reaction. There is a formula in nuclear engineering to determine the multiplication of a nuclear chain reaction in a non-infinite medium, this formula is known as the “six-factor formula”, here at Six-Factor we invite you to add our value to your business and together we will initiate a chain reaction only limited by your potential. Whether you are a Startup or an already established business we can help you. We provide you with the resources, culminating in two decades of experience, to get your project of the ground. We will be with you all the way from concept to market. In todays globalized market the speed with which you move from an idea to working product makes or breaks Startup Companies, the odds are that someone else is having the same idea somewhere else, the first one to get traction will prevail and will prove the concept and get the necessary funding. We will be your silent partner, giving architectural advice, assembling the right team of professionals, we will do the late hours to make the deadlines and we will be watching you pop the champagne in the end. Talk to us. Need to create differentiation, need to keep up with the times, want to make processes more efficient and less expensive? Out-of-the-box solutions don’t fit like you wished they would? Are you being forced to work the way the software permits instead of the software working like you would like? Do you have a team full of ideas but don’t have the time or the skills to get them to market? Six-Factor is your right partner, our resources have been helping clients achieve their objectives for 20 years now. We understand your needs even when you don’t know how to describe them, we have extensive knowledge of business processes in banking, telecommunications, industry, retail among others. We could be like your new department or new team, that will work autonomously, under your guidance, producing what you haven’t been able to produce yourself. Contact us. You’re a Business that doesn’t want to redefine the wheel, but still you follow the advances in technology and want to make use products and services based on them. Six-Factor is continuously internally innovating to produce products and services for businesses like yours. With only customization costs, you can benefit from a wide range of products and services. The “Internet Of Things” (IoT) is one such area of Innovation, Six-Factor provides a wide range of solutions based on exclusive products like the “Nearby – proximity solutions” framework or the extensive range “Smart Lockers” solutions among many others. Our “Blockchain Innovation Lab” is constantly creating real world solutions for enterprises based on the Ethereum and/or Bitcoin blockchain networks. Challenge us. This is but a small selection of the services we can provide. Six-Factor is a global brand that aims to offer IT Innovation to recently created Startups and mature Corporates alike, our guidance will help turn a dream into a powerful product or a necessity into a productivity game changer. With our presence in Amsterdam in addition to the Nearshore delivery center in Lisbon, at Six-Factor we partner with our Customers in the quest to deliver Excelence through our Consulting Services. Six-Factor uses all best practices to transform the Software Development Process into your continuous Process of Innovation. We will be that team you need, that won't take up office space, that will be self sufficient, that will grow and shrink according to the immediate needs, all this, while working in an organised manor, with the correct experienced qualified technical staff for every situation, and best of all, almost right next door. At Six-factor we have a flair for virtual world. We value your investment on internet driven businesses and stand by you with support and access to all available technology. We guide you all the way in your journey into the world of Web and Web Enabled Products and Services. We have a team of highly qualified and experienced professionals with a natural talent for all aspects of web development including the user experience, the graphic design and the digital marketing. Six-factor is leveraging the Iot (Internet of Things) and the use of Mobile Devices to reshape the customer journey and customer experiences engaging them with products and services in new and exciting ways. Having developed in the past frameworks for mobile platforms, these frameworks can help in a smaller time-to-market period when applicable but we are just as fast in cretaing solutions from scratch. We help you through the journey from a great idea, to having a full product and enganging your customers with it. With more than 15 years of experience in the field of Outsourcing we are committed to make our clients feel as if they are using their own resources. Whether it’s our internal resource, an independent contractor or a supplier, we are extremely focused on taking the burden off our your shoulders, minimizing the role of the client's responsibility by co-managing resources while on your premises. We have available technology managers and management team staff to mentor, train and guide resources as it is demanded by your project. At Six-Factor we run a multidiscipline Innovation and Research Lab, we are constantly in the fore-front of technology, we explore tecnologies like Blockchain, Iot, Machine Learning and Artificial Inteligence, or just the latest trends and best practices adopted by the community or the market. The learnings from this Lab is shared internally through out the whole company, our coaches offer a unique hands-on way of tutoring staff in cutting-edge technologies and methodologies and we can do this for you also. Just a way to keep an eye on what is happening in the world as well as reporting on what Six-Factor is doing to contribute to the global innovation effort. The Internet of Things (IoT) is, in many ways, like “the cloud” was nearly a decade ago: Everyone’s talking about it. Some businesses and consumers have already begun embracing it wholeheartedly. Others want to understand it better than they do. And many find the whole idea a bit overwhelming and aren’t sure where to start. The importance of data and analytics to the adoption of IoT can't be underestimated. 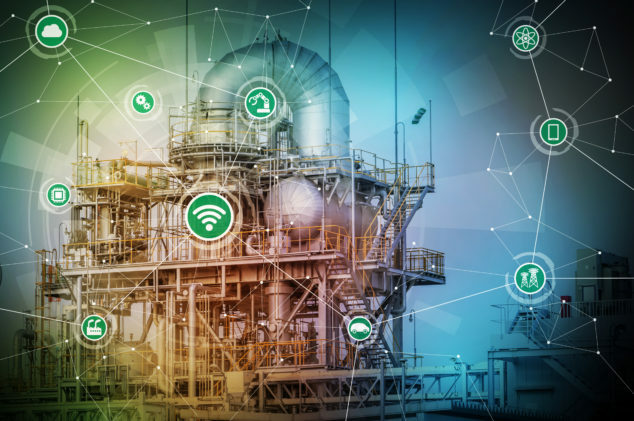 The IoT revolution will see a surge in the practical uses of IoT and how these can fuel its use in industrial trades, motoring and more. Get in contact with us, we would love to hear from you. Stay in touch with all that is happenning on our side and subscribe our newsletter.